JJML: Now a Little More Awesome! Have you read, watched or listened to something AWESOME that you’ve borrowed from the John Jermain Library? If so, please put it in our Awesome Box when you return it. The AwesomeBox is located right on the returns cart next to the main circulation desk at our temporary location at 34 West Water Street. Your awesome selections will appear on our new Awesome at JJML webpage. http://johnjermainlibrary.awesomebox.io where you can also see the books, movies and CDs other JJML patrons think are awesome. 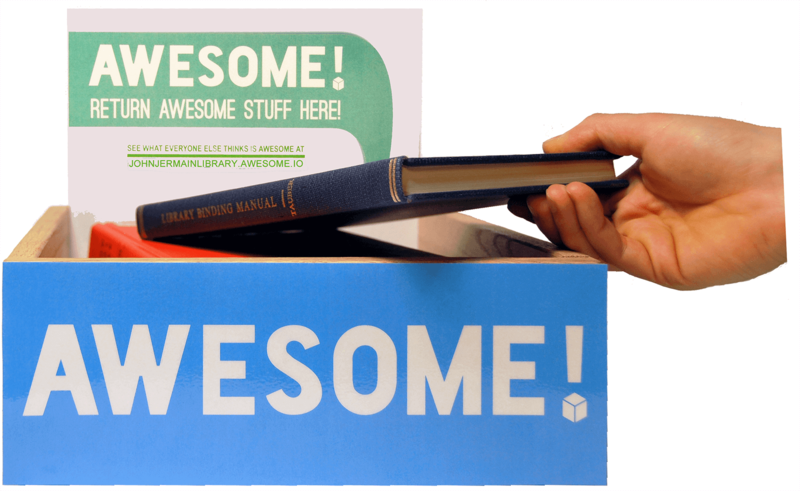 The most recent Awesomebox returns will also appear on our website, http://johnjermain.org and on this blog in the right hand column.